Let's face it. Most of us are extremely busy, or extreme procrastinators. I am both. I have been up all night before more craft shows that I will ever be able to count... or admit to. All of us need a few tricks up our sleeves that are quick and easy! Today’s project you can do in literally a few minutes even if those minutes are in the car before a dance recital! 1. Double stick tape is not the double sided tape from your normal office supply store. You want specialty double sided tape. We recommend two places to find this tape. Our friends at No Bow No Go have some wonderful tape you can purchase today by clicking HERE. A similar product will also be available later this year at Punch Place Plus. 2. Not all glitter ribbon is created equal. The plushy glitter ribbon that we carry at All About Ribbon is uniquely no-shed. What makes it "glitter" are actual fibers that are woven into the ribbon. 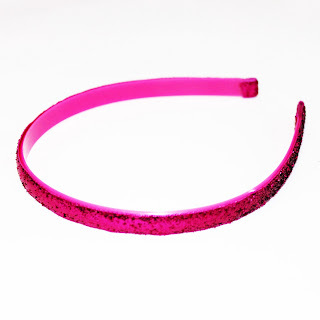 A lot of glitter products are made with small particles that when worn as hair accessories create a mess everywhere but also potential eye issues. 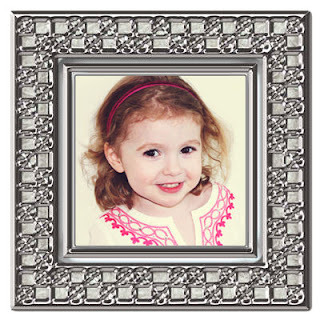 Small particles can fall into children's eyes and cause irritation and a whole bunch of other fun issues that you as a mommy or business owner don't want to deal with. Quality is important. Apply the double sided tape to the back of the ribbon. When you peel the tape off the roll it has one side exposed and one side that still has a protective covering. Using the exposed sticky side of the tape, press the sticky side to the back side of the glitter ribbon. 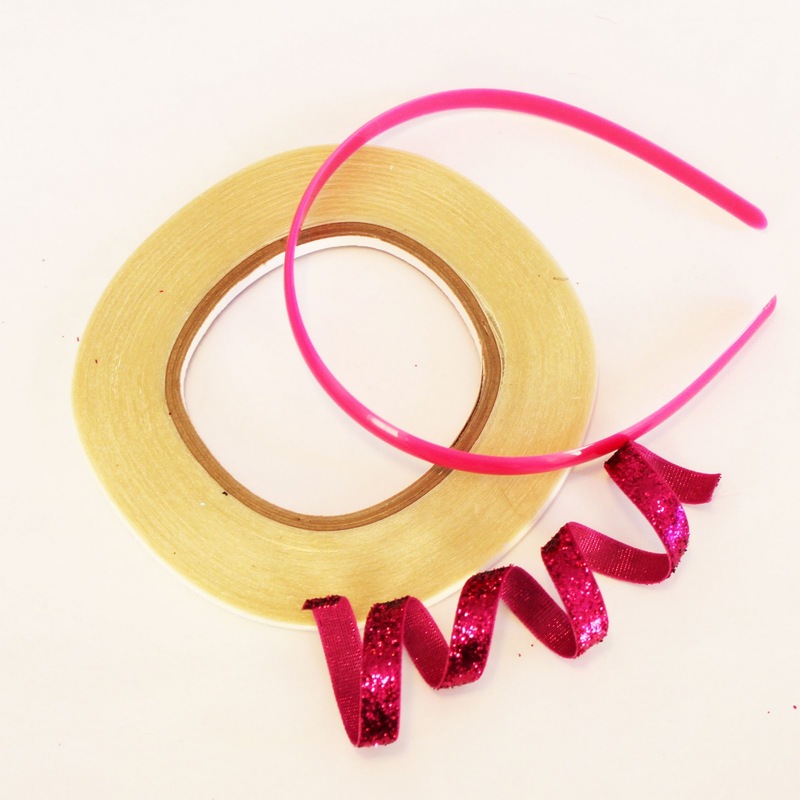 Peel the backing tape off the length of ribbon and press firmly to your headband. Start with a small tab on the inner side of the headband then press over to the outer side of the headband and tab over again on the second end. See... that was so easy you could do that while hopping on one leg, chasing a kid, talking on the phone, and walking the dog!